Presented by: Gareth Jones & Zog. 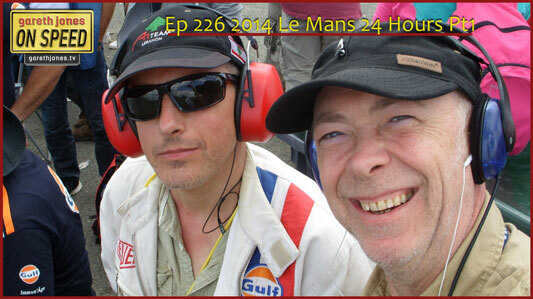 #226 The 24 Hours Of Le Mans 2014 (Pt1). We name our cars and drivers, and pick the best positions at the mighty Circuit de la Sarthe to watch the race unfold and capture the magnificent sound of the cars from the start of the race and deep into the night.